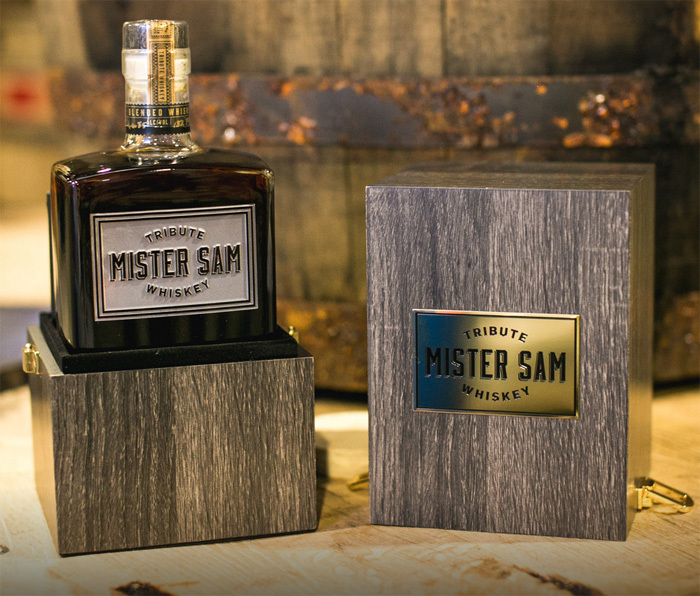 Sazerac has announced the release of Mister Sam Tribute Whiskey, a limited edition blended whiskey created to pay tribute to late Seagram’s leader Sam Bronfman. This blend of Canadian and American whiskeys comes in a wooden box that includes a copy of ‘From Little Acorns’, a book written by Sam Bronfman in 1970 about the history of the Seagram’s company. Fittingly, the blend’s recipe was created by Sazerac Master Blender Drew Mayville, a native Canadian now living in Kentucky. Mister Sam Tribute Whiskey is bottled at Sazerac’s Old Montreal Distillery at 66.9% abv (133.8 Proof) and will be released in limited quantities once a year. The 2019 release is comprised of just 1,200 bottles and will only be sold in the United States and Canada at a suggested retail price of just under $250.